Don’t feel stressed if you see your baby not drinking milk! 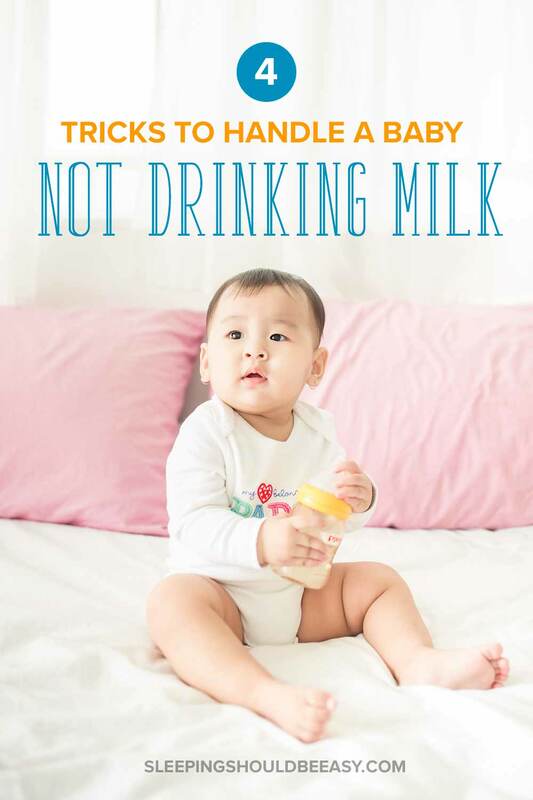 Instead, try these 4 effective tricks to help your baby take more milk, whether from the bottle or nursing. It’s the worry that plagues every mother: what to do when she notices her baby not drinking milk all of a sudden. Whether breastfed or bottle-fed, you might have noticed that your baby has been drinking less milk than he used to. Sometimes it’s as much as half the amount he normally takes, even after a full 11-12 hours of sleep. He might refuse and push the bottle away when you offer it, or squirm and wriggle during a nursing session. Any time you offer milk again, he starts crying and screaming. It’s been a few days, and both you and baby are feeling stressed, dreading each feeding. The weird thing is that he’s not teething, nor is he feeling sick. You haven’t offered any new formula, and he’s even pooping and peeing just fine. What can you do to get your baby to take more milk? As you can see, you’re definitely not alone. At some point, all three of my kids refused drinking milk, whether with nursing or through a bottle. Despite having always had a healthy appetite for milk, they all entered a stage where they refused to drink. I tried offering milk in various ways, from nursing to a bottle, from sippy cup to a regular cup, but they refused them all. In fact, it seemed they preferred to play and do anything else but eat. By the time I had my twins, I knew this stage was normal and would pass. Still, having a baby not drinking milk is enough to stress even second- and third-time moms. 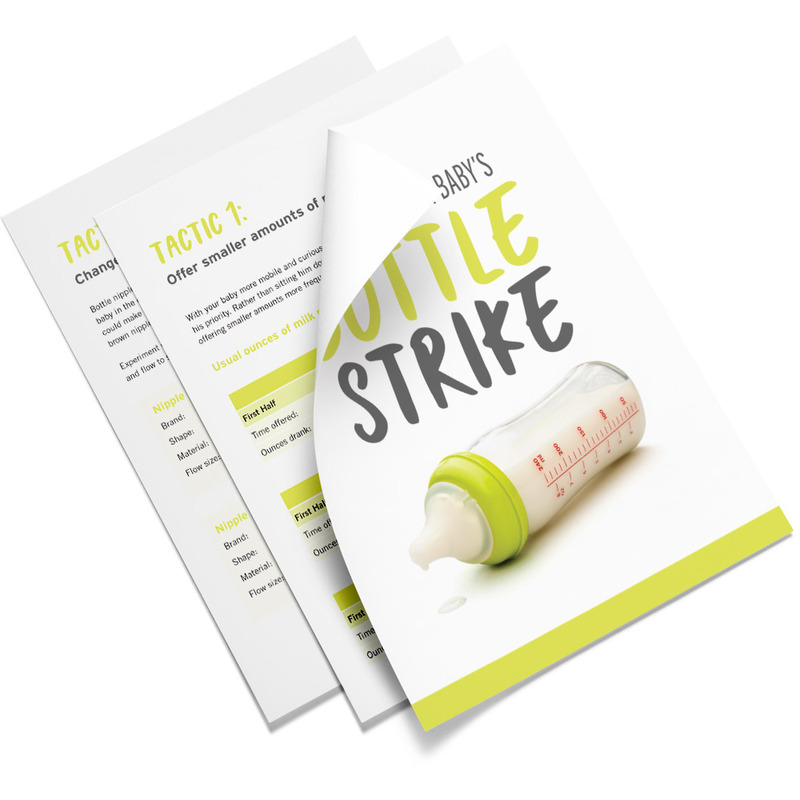 Below are simple but effective tricks that helped me get through this stage and help my babies drink milk once more. In a baby’s first few days and weeks, you were on a race to regain lost baby weight and make sure he’s gaining in pounds and ounces. And it’s true—babies grow the most in their first few months. But they also hit a stage where they don’t need to gain quite as much weight. Their level of growth isn’t as fast as the newborn stage, and they’re also more interested in hitting other milestones. That’s why you’ll often find a baby would rather spend his time learning to crawl than eating. And eating solid food can provide the calories he used to only get from drinking milk. So, even though your baby is drinking less milk, he might just be reaching a new stage where he doesn’t need as many calories from milk. The best way to find out is to reach out to your pediatrician to see how much milk your baby should be eating. You might be stressing about something that isn’t even an issue. Introducing solids is one of my favorite stages. I actually liked blending purees and trying new combinations, and even created a printable to track which foods I introduced. Well… my kids were also just as excited. So excited, in fact, that they preferred eating solids over milk. After all, milk was nothing new, whereas eating from a spoon seemed more exciting. So I switched things up: when I had a baby not drinking milk, I made sure to offer the milk before eating solids. This way, I knew they had the appetite to finish a nursing session or bottle before eating solids. I figured they would finish the solids, even after having drank the milk, whereas they might not drink as much after having eaten solids. Another option is to offer the milk much later after your baby has eaten solids. It can be too much to drink milk and eat solids in one sitting. You might have better luck giving your baby milk an hour after eating solids when you know he has the appetite for it. One of the best decisions I made was to feed my babies after they woke up, not to feed them to sleep. This helped them learn to self soothe, but it also meant that their feeding times adjusted as they grew up. You see, as my babies grew up, they took fewer naps, which also meant we had fewer feeding sessions. In the beginning, they might’ve taken five naps a day and drank milk five times as well. But as the number of naps decreased, they also had fewer times to feed. If your baby isn’t drinking milk, see if you can stretch the times between feedings so he’s hungrier come the next one. He might simply need more time—and space in his tummy—between feedings to finish a whole bottle or nursing session. Worried your baby isn’t getting enough calories from breast milk or formula? Try mixing the milk with his solids. Instead of using water to prepare his oatmeal or rice cereal, mix it with milk instead so he gets both solids and milk at the same time. You can also mix milk with fruit or vegetable purees, especially if you were already going to water the texture down anyway. I’ve heard of other moms who make “momsicles,” or breast milk or formula frozen as an ice pop. Sucking on milk can be a creative way to draw a curious baby to consume his milk. Keep in mind that this can get messy, especially if your baby is new to holding and sucking on an ice pop. 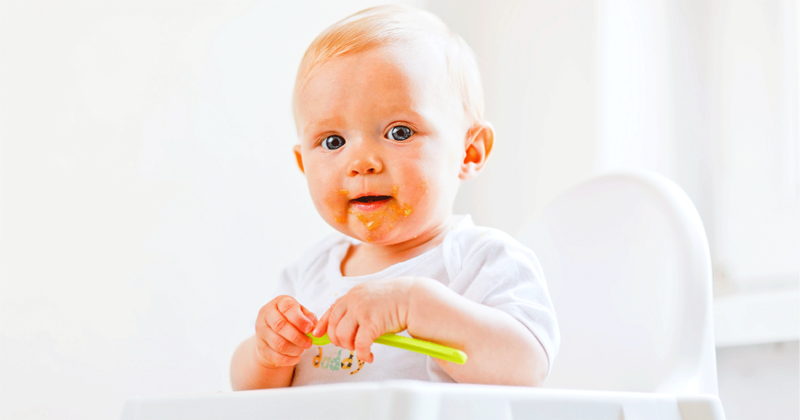 Get more tips on how to prepare your own homemade baby food. It’s never easy when your baby takes an hour to drink milk, or pushes you or his bottle away when you try to feed him. 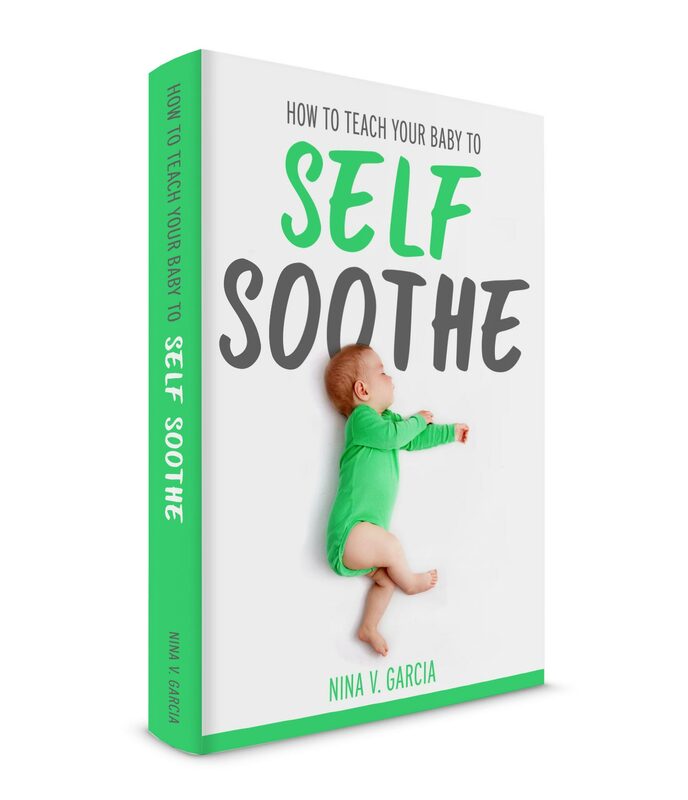 We get frustrated because we know we’re not supposed to force our babies to drink, but at the same time, we’re stressed they’re not drinking enough. But as you’ve seen, you’re not stuck. 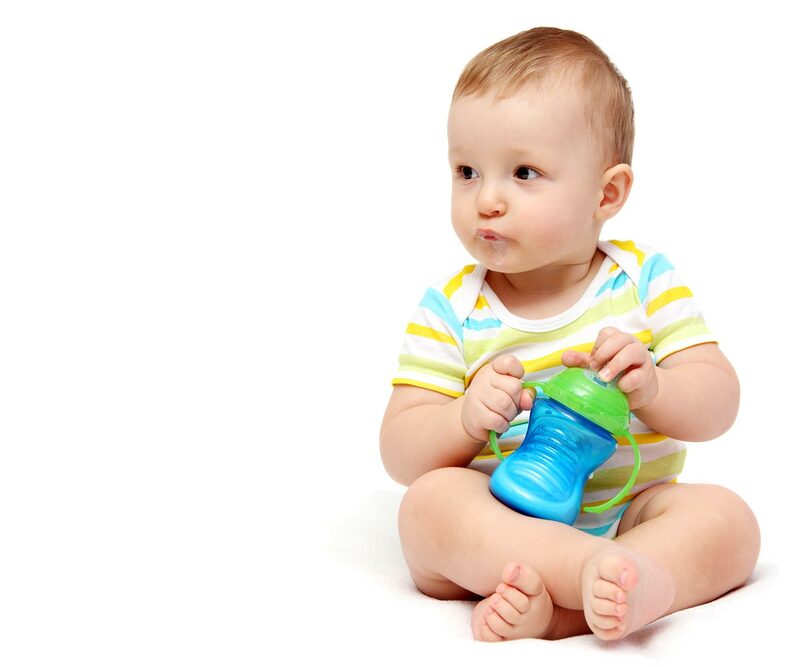 Try these simple tricks to help your baby start drinking milk regularly. Offer milk before solids so he’s more likely to finish it on an empty stomach (or offer it an hour later after solids). Feed him in between longer intervals, where he’ll have an appetite to finish the bottle or nursing session. Mix his milk with purees and cereals to make sure he’s getting calories from milk as well. And check with your pediatrician how many ounces or how long your baby should be nursing—it might turn out that you have nothing to worry about after all. If I can offer one bonus tip, it’s this: relax. It’s amazing how much our babies can pick up on our moods and reflect the stress we feel. The more stressed and frustrated you feel, the longer it can take to help your baby drink more milk. When we have babies, it’s easy to overlook just how long of a journey we have ahead of us, when every day there’s something to worry about. If anything, you’ll likely forget this stage down the line, or chuckle to yourself at how worked up you got about it. And who knows—just when you let go, could be when your baby decides to drink his milk again. Liked this article on what to do with a baby not drinking milk? Share it on Pinterest and Facebook! 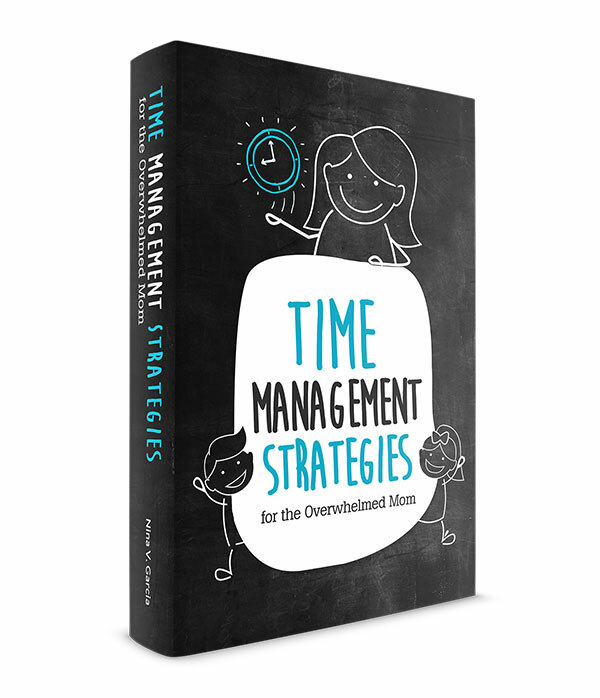 My favorite tip from this… Relax:)! It can be easy to create a problem where there isn’t really one. All 4 of mine also slowed dramatically with their nursing at about 9 months old. I pushed lots of high-fat home made thick purees to compensate. Sooo true about creating a problem when there isn’t one, eg worrying! A lot of parents worry about slower consumption but it can very well be that their babies’ bodies simply slow down growth after a while. This is what I am going through now.Everyday in a great pressure of feeding baby, keep forcing him and he just keep crying to refuses, i felt so much pressure and really unhappy about that. But to me, my baby doesn’t like spoon feed while i can’t feed him the oatmeal or rice cereal, he just like to eat by himself, so i started BLW feeding method to feed him, actually he can eat well when holding the veggies by himself, but his drinking ounces keeping dropping, maybe its time for him to eat more solid food. thanks for sharing such skills and teaching me to RELAX, you really says well “When we have babies, it’s easy to overlook just how long of a journey we have ahead of us, when every day there’s something to worry about. If anything, you’ll likely forget this stage down the line, or chuckle to yourself at how worked up you got about it.” i don’t want all my memories with baby is only feeding and pressure. Thank you for this article and your words of advice! Thank you for your tips. Currently my 10 month old baby refuses his formula most of the time so I add it to his cereal for breakfast and lunch. He drinks 4 ounces of formula st 7am then has another 4 ounces in his cereal at 8am. Then I struggle to give him an ounce at 11am when he wakes up from his nap. He eats his lunch fine an hour later. Then after his second nap, I offer him 4 ounces of formula but I struggle just to get him to drink 2 ounces. At dinner, I add another 4 ounces of formula in his cereal. My question is, is it 9kay for a 10 month old baby to have 15 ounces of formula a day? I also give him water after his three meals and snack, but I also struggle giving him water that I only manage him to drink about 4 to 5 ounces of water a day. Do you think this is healthy and appropriate for a 10 months old baby? Hi Fatimah! It’s definitely hard when our little ones don’t take their milk all of a sudden. What if you try giving him his formula an hour (or even half an hour) after he wakes up from his nap? I wonder if he’s just too groggy or not that hungry the moment he wakes up, but if he eats his food an hour after, he just might take the formula as well. Typically, older infants do start to decrease their milk intake, not only because they’re experimenting with solids, but also because their bodies aren’t growing as rapidly as they once were in the earlier months. Also, this is when they’re starting to get mobile and curious about their environment, so the idea of drinking milk isn’t as exciting as, say, practicing how to crawl. That said, I’d check with your pediatrician to see if he’s gaining enough weight, and let them know how many ounces he’s currently drinking. They’d be the best ones to let you know whether he’s taking in enough a day.